TWO Holiday Gift Ideas for Mt. Tam Lovers! $40: For just $40, your gift includes monthly One Tam member hikes and a gift package of One Tam gear (bag tag, baseball hat, bumper magnet). Barry Spitz’s definitive trail guide, Mount Tamalpais Trails, an essential companion for frequent visitors to Mt. Tam. 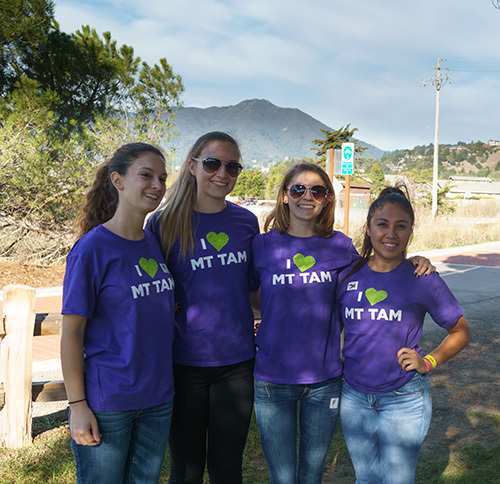 Your holiday gift supports One Tam’s stewardship work to protect the mountain and enrich educational opportunities on the mountain. To secure your gift membership, contact Monica Stafford at mstafford@onetam.org. 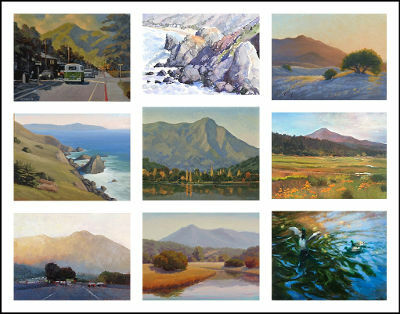 BayWood Artists is a nonprofit group of talented local artists that partners each year with a nonprofit environmental organization to produce an exhibit that will both raise funds for, and bring awareness to, Bay Area environmental causes. The artists are donating 50% of sales One Tam’s work to protect the mountain and promote stewardship. The sale continues online, but only until December 31! Hurry to see available works. Did You Miss the Science Summit? At the end of October, the mountain’s four land management agencies and the Parks Conservancy, together with other Bay Area scientists, gathered at the first-ever Mt. Tam Science Summit. They shared information about the condition of Mt. 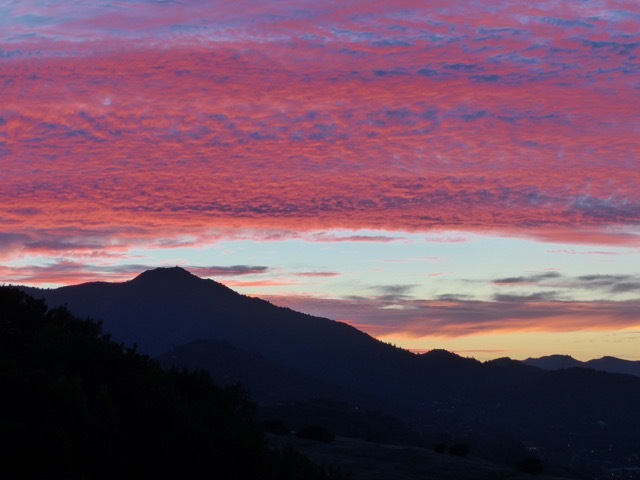 Tam’s plants, animals, and natural processes, the findings from an extensive collaborative science report, Measuring the Health of a Mountain: A Report on Mount Tamalpais’ Natural Resources. The event drew hundreds of attendees over two days. 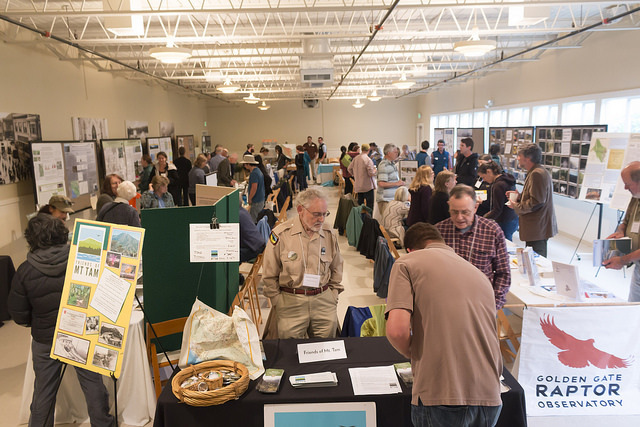 Friday focused on scientists and natural resource managers, while Saturday extended the conversation to students, community groups, and interested community members. If you missed the event, you can still learn about our findings at www.onetam.org/peak-health, our web tool designed to let you dig down to the plants, animals, and landscapes that interest you most. You can also download the presentations, posters, and the full science report. Just have a few minutes? This video will give you the gist of this enormous collaborative effort to understand the health of Mt. Tam, and how it will inform future work. Learn how you can help the mountain’s natural communities thrive! Check out our volunteer opportunities and upcoming events with One Tam and partners. Last Member HIke of the Year! Check our calendar for upcoming hikes in 2017. We aim to host a member hike each month featuring new trails or points of interest on the mountain. You’ll learn more about Mt. Tam and get to know others who share your love for the mountain! Contact Monica Stafford at mstafford@onetam.org for more information. The “wildlife picture index” is a statistical method used to understand where and what kinds of wildlife occur in an area. 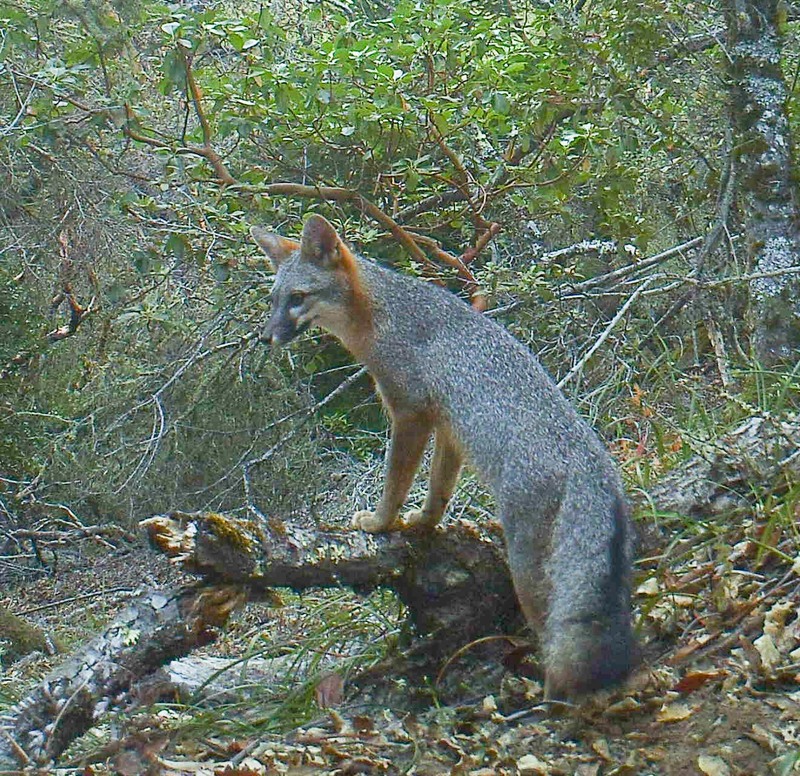 The Marin Wildlife Picture Index Project is one of the first large-scale, multi-agency projects to help beta-test this cloud-based software in North America, and in a temperate zone globally. Data from this project will ultimately become part of a global database where they can be compared to other projects. Locally, analyses from this work will help us improve our study and conservation of wildlife on Mt. Tam. Look for more information in early 2017 on how to get involved in the next stage of this project. Normally held the Saturday before Thanksgiving, the Mt. Tam Day of Thanks volunteer workday has been rescheduled to December 17, 2016, due to weather. 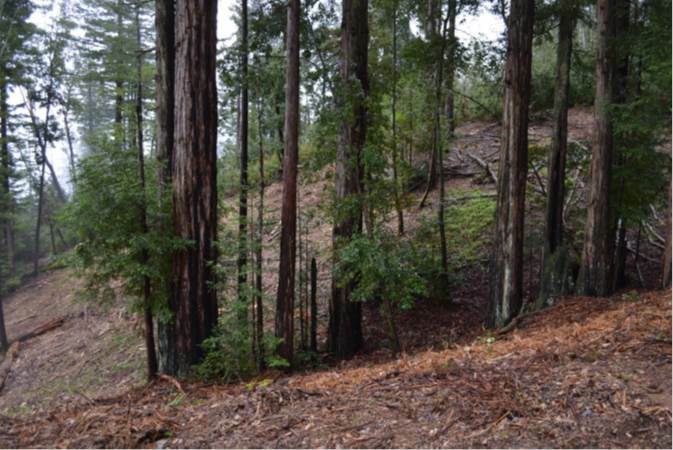 An interdisciplinary team comprising researchers from UC Davis, Marin Municipal Water District, and the USDA Forest Service are studying several benefits of removing diseased understory from redwood forests on Mt. Tam. Preliminary findings show that soils in redwood stands on Bolinas Ridge absorb or “sink” methane, a greenhouse gas 80 times more potent than carbon dioxide. The project, now in its second year, is testing several fuel load reduction and restoration techniques to determine which will have the greatest long term benefit on greenhouse gas sequestration. 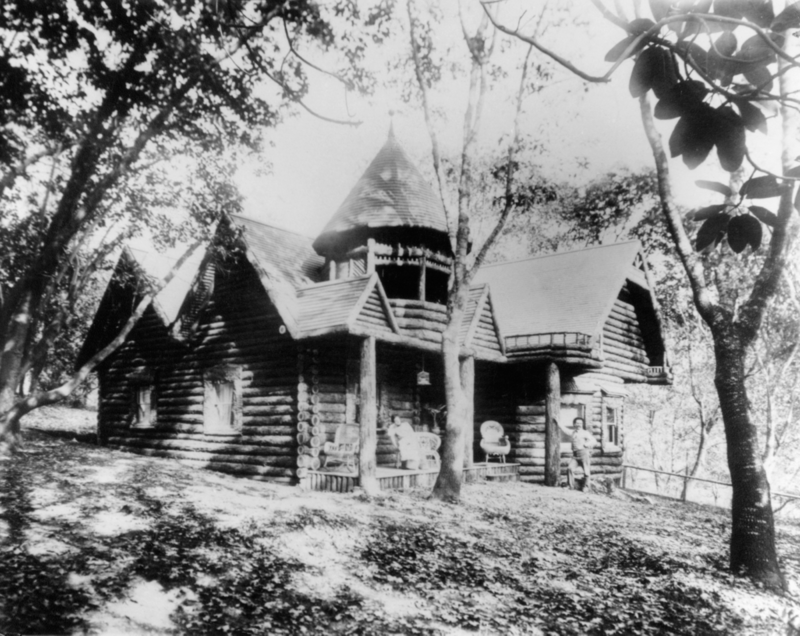 This study is also evaluating tradeoffs among other forest benefits including wildlife habitat quality, water yield, and recreational enjoyment. Ultimately, the work aims to determine which treatments are the most cost effective and which will best preserve these forest functions over the long term and maintain redwoods as the dominant tree in those forests. This research is very intriguing because, among other critical ecological functions, it could mean that coast redwood forests across their range could play an important role in sequestering methane from the atmosphere. In general, we don’t currently know much about Mt. Tam’s invertebrate life. This is one of the major data gaps identified through One Tam’s Health of Mt. Tam effort, presented at the Mt. Tam Science Summit. Information about pollinators on the mountain is especially needed. Nevin Cullen, who began working on the mountain as a MMWD Natural Resources Program Intern and then as a Marin County Parks seasonal employee, is now taking this on as a graduate student at SFSU. Together with professor Gretchen LeBuhn and MMWD staff, he will develop an inventory of pollinators in the Mt. Tamalpais Watershed, with an emphasis on bees. A community science monitoring program will be created to track these important members of Mt. Tam’s fauna over the long term. Volunteer opportunities to help inventory pollinators are expected to emerge this spring. Your friends at One Tam wish you a safe and happy holiday season! Thank you for your support of and interest in our work to protect Mt. Tam's resources and promote stewardship. We hope to see you on the mountain in 2017!